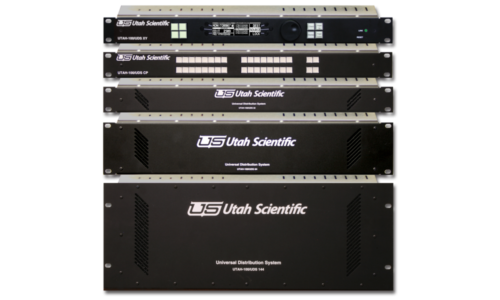 The compact video routing switchers from Utah Scientific are designed to meet the needs of the most demanding broadcast, post, and enterprise applications where a smaller form factor matters. Includes hybrid routing solutions that allow you to transition to IP operations while preserving your SDI investment. The UDS Compact Series is ideal for small applications. 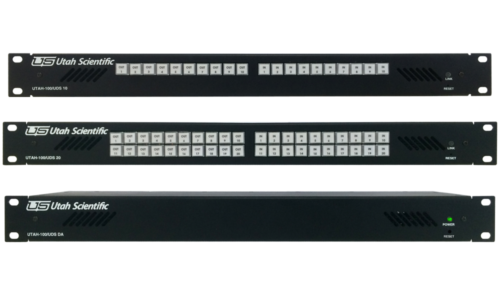 The series consists of SDI 8×32 configurable distribution amplifiers, SDI 10×10, and 20×20 routers. 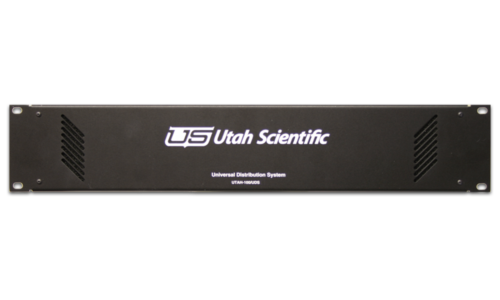 The UTAH-100/UDS is a revolutionary approach to signal distribution, combining the flexibility of a multi-rate digital routing switcher with the economy of simple distribution amplifiers for use in signal distribution applications in all types of facilities. 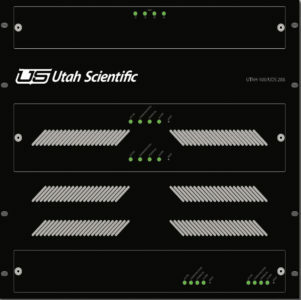 The UTAH-100 UDS-288 brings the significant cost savings of the UTAH-100 UDS Router family to mid-size router applications while maintaining full compatibility with the Utah Scientific family of digital video and digital audio routers, system controllers, and control panels. The UTAH-100/UDS-32AA provides a cost-effective way to add analog audio routing capabilities to a larger rout- ing system while maintaining full compatibility with the Utah Scientific family of digital video and digital audio routers, system controllers, and control panels.